Hot and gently spiced recipes are the order of the day in Ayurveda, so this Halloween-inspired treat hits the mark in terms of Ayurvedic principles and seasonal feel-good factor. 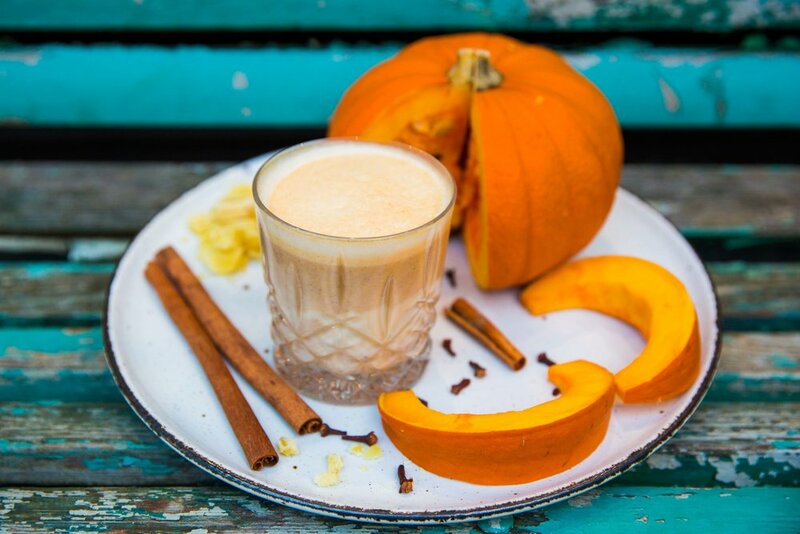 A warming and indulgent tonic for the colder months, our spiced pumpkin latte is a world away from the fast-food versions that have become ubiquitous in the US. Using high-quality whole foods and stimulating spices, it’s a brilliant way to sneak a little extra veg into your daily intake. Blend all of the ingredients together until smooth and then simmer gently in a saucepan until piping hot. Taste and adjust seasoning, adding more almond milk or some water if needed. Serve immediately. If you have a high-powered blender like a Vitamix, then save on shop-bought almond milk and throw a handful of soaked and peeled almonds, along with two cups of water, into the blender instead. Want to really boost the health benefits of this recipe? Add a pinch of turmeric and black pepper for anti-inflammatory effects with an aromatic bonus.